Winner of Pulitzer Prize for Fiction 2005. In 1956, toward the end of Reverend John Ames' life, he begins a letter to his young son, a kind of last testament to his remarkable forebears. 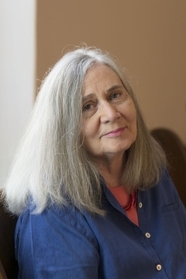 Marilynne Robinson was born in 1947. Her first novel, Housekeeping (1981) received the PEN/Hemingway award for best first novel as well as being nominated for the Pulitzer Prize. Marilynne Robinson was born in 1947. Her first novel, Housekeeping (1981) received the PEN/Hemingway award for best first novel as well as being nominated for the Pulitzer Prize. Gilead also won the Pulitzer Prize for fiction.